James has worked in design for over 30 years and leads a team of branding and digital experts in developing integrated creative communications that help change perceptions and position clients and their brands. 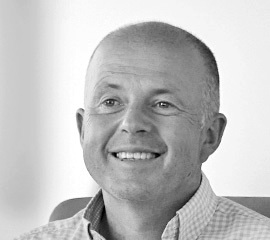 He works closely with clients across a range of sectors from corporate to FMCG. His current clients include Qipco, National Grid and G4S.